This magazine celebrates the one-pot convenience of soups, stews, and chilis. 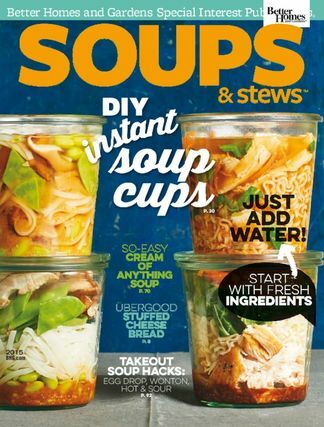 This magazine celebrates the one-pot convenience of soups, stews, and chilis. Our recipes for main dishes will make it hard to decide which one to try first. Our first-course and side-dish soups will win favored status in your recipe collection, too. The recipes for slow cooker soups and easy 30-minute soups are especially appealing if time is not on your side. For a perfect pairing, choose one of our incredible sandwiches, breads, or salads to serve with steaming bowls of homemade soup. Be the first person to tell us what you think about Soups & Stews and you'll save $5 on your next purchase! 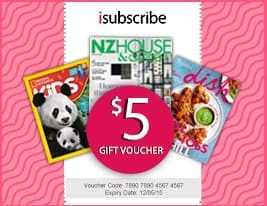 https://www.isubscribe.co.nz/soups-&-stews-digital-subscription.cfm 15699 Soups & Stews https://www.isubscribe.co.nz/images/covers/nz/541/15699/square/SoupsStews191610456.jpg NZD InStock /Digital/Food & Wine/Everyday This magazine celebrates the one-pot convenience of soups, stews, and chilis.